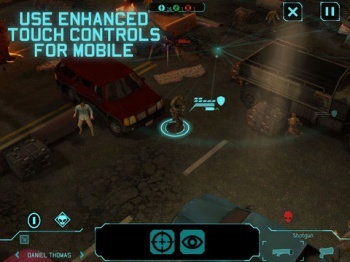 Tactical strategy hit XCOM: Enemy Unknown is now available on the iOS App Store for anyone with an appropriate Apple gadget and a desire to ruthlessly hunt extraterrestrials. What could be better than meticulously planning a course of attack, then watching your squad of elite soldiers protect the planet Earth from alien invasion with extreme prejudice? How about all of that in portable form? As of this very moment those of you with enough allegiance to the cult of Apple to own a Cupertino-spawned tablet or cellular phone can download the iOS incarnation of XCOM: Enemy Unkown by visiting the App Store and plunking down $20. Anyone who's played the console, PC or Mac releases of the game will tell you that $20 is a paltry sum for how much quality gameplay and overall content the title delivers, and that whole "you can carry this game in your pocket now" bit is just extra icing on the cake. And how do the game's creators feel about its new home? "Bringing a game of XCOM: Enemy Unknown's size, depth and quality to a mobile platform isn't something you see often, but we've accomplished just that," says 2K Games president Christoph Hartmann. "We've been very pleased with the success of XCOM: Enemy Unknown and we expect that to continue as we bring the full experience to this exciting new platform." "Turn-based strategy games are a natural fit for a touch interface, and XCOM: Enemy Unknown takes full advantage of this on iOS devices," adds Jake Solomon, lead designer. "We're thrilled that gamers have yet another platform to play the game on, especially one that allows XCOM: Enemy Unknown to be played anywhere, anytime." While we wouldn't expect anything but diplomatic glad-handing from the people whose salaries depend on this thing to be a hit, Mr. Solomon has a point: Portable XCOM is more than enough to convince me to drop cash on the title yet again. You?